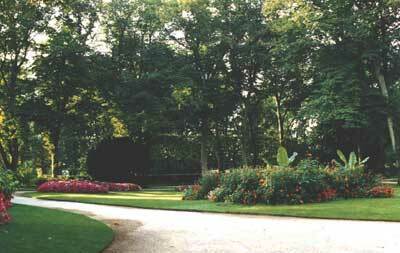 Blossac Park : Paul Marie Esprit de la Bourdonnaye, count of Blossac created the park, along the city's walls, in 1770. In the heart of its landscape and formal gardens, on the two main paths lined with lime trees from Holland, the visitor can choose between contemplation or festivities : a rock garden, a zoological garden and various events. The Parc de Blossac will soon be enriched with a new area : the « Grand Pré » is going to be restored with the construction of an open-air theatre, a shadow garden and a light garden. From 01/10 to 31/03 : 7 am - 9.30 pm. From 01/04 to 30/09 : 7 am - 10.30 pm. Guided tours for groups and schools by appointment.